Tickets for the 2020 Betfred World Championship at the Crucible Theatre in Sheffield will go on sale on the first day of this year’s final, Sunday May 5th, from 8am. Tickets on the first day of sale will be available ONLY to fans who are able to book in person at the Crucible box office. These seats will be limited to a third of the tickets available for sale. The remaining two thirds will be available online at cruciblesnooker.com or seetickets.com, by telephoning 0844 6565 147* and in person from the Crucible Box Office from 9am on Monday, May 6. – Fans buying tickets in person on Sunday May 5 and Monday May 6 will not be able to do so with cash – only debit and credit cards will be accepted. – Photo ID will be required by fans attending the event in 2020 and this will need to match the name printed on the ticket. Fans purchasing tickets as a gift will need to add their surname to the tickets as part of the order. When booking online, fans can book the tickets in their name, and add the surname detail when prompted as part of the checkout. – Following high demand last year, there will be increased facilities at the Crucible box office on May 5 in order to enable more simultaneous transactions. Fans will be able to buy a maximum of four tickets per person per session, and while they will receive confirmation of purchase, the actual tickets will not be sent out until a month before the 2020 tournament. 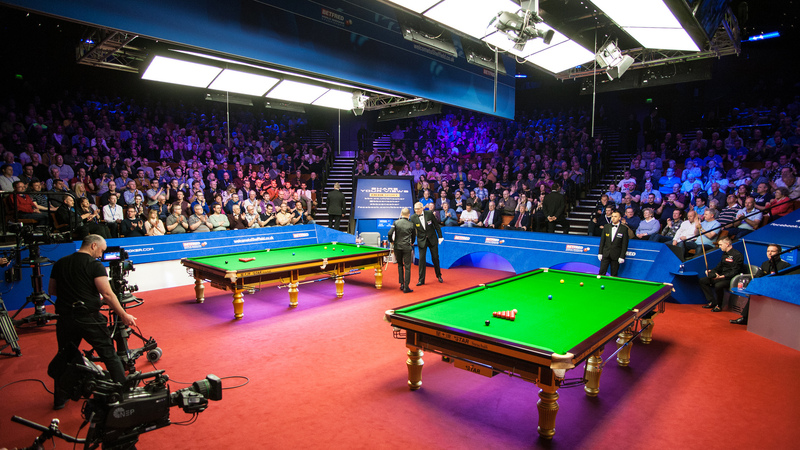 Snooker’s greatest tournament, the Betfred World Championship has been staged at the Crucible since 1977. This year’s event runs from April 20 to May 6, with Mark Williams defending the title in a field of 32 players, including the likes of Ronnie O’Sullivan, Judd Trump, John Higgins, Mark Selby, Mark Allen and Neil Robertson. The 2020 Championship will run from April 18 to May 4. 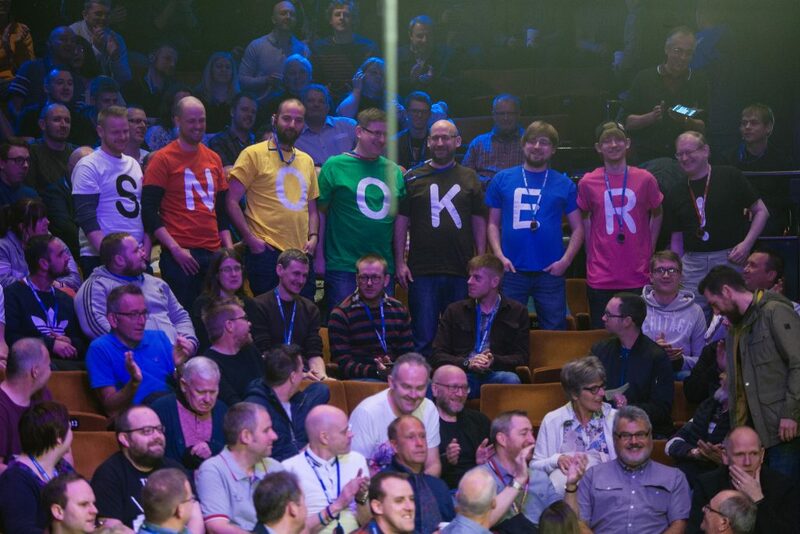 World Snooker Chairman Barry Hearn said: “Last year we introduced this new system, with one third of the tickets on sale to fans in person at the Crucible on the first day of sale. The demand was extraordinary with fans queuing for hundreds of metres outside the doors. That just underlined how big an event this is on the global sporting calendar. “Our biggest priority is that these golden tickets end up in the hands of genuine fans at the right price. We fully recognise the battle all sports face against touts and secondary markets, especially when there is such massive demand. The Crucible arena is relatively small, seating less than 1,000 people, but we are committed to staging the World Championship there until at least 2027 because we love Sheffield and there is so much history associated with this magical venue. The thrill of watching the best players competing in the biggest tournament at this iconic location cannot be matched. “This time we have introduced further measures to guard against secondary markets. Fans who have made the trip to Sheffield for the opening day of sale will be rewarded. Ensuring that they can only purchase with debit and credit cards, and asking them to bring photo ID when they come to the event next year, helps to leave the touts snookered. “We diligently police secondary markets and take appropriate measures where necessary, including cancelling the tickets that can be identified. All tickets are expected to sell out within days so fans are urged to be ready on either May 5 or 6. From Monday May, 6 tickets will be available over the counter, by telephone or online with the Crucible Theatre and SEE tickets – who are the only official ticket retailers for this event. *Calls to the snooker booking line cost from 5p per minute from a BT landline plus your phone company’s access charge, other landline networks and mobile providers may vary.